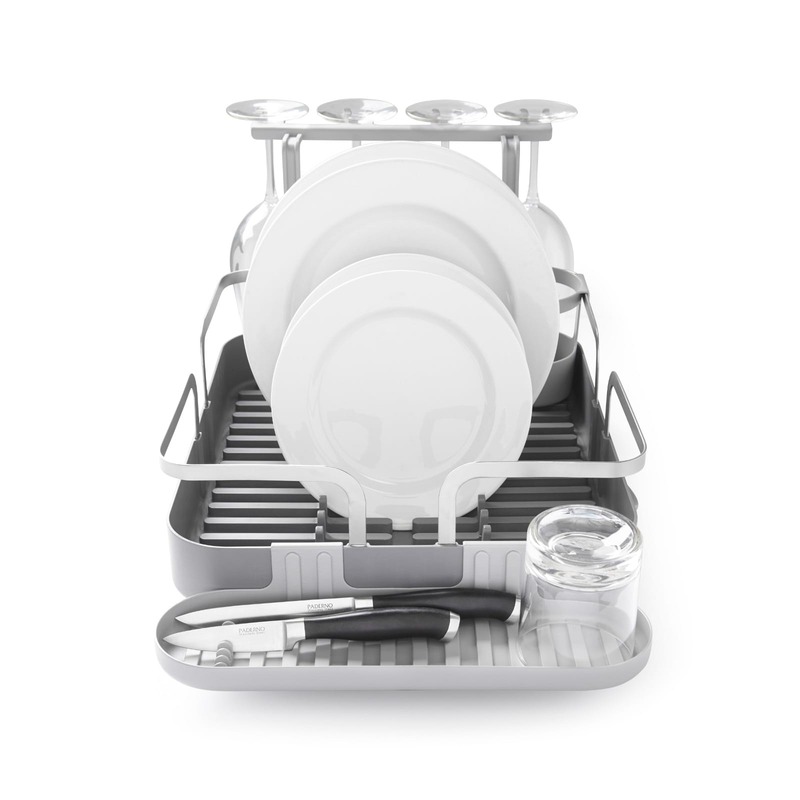 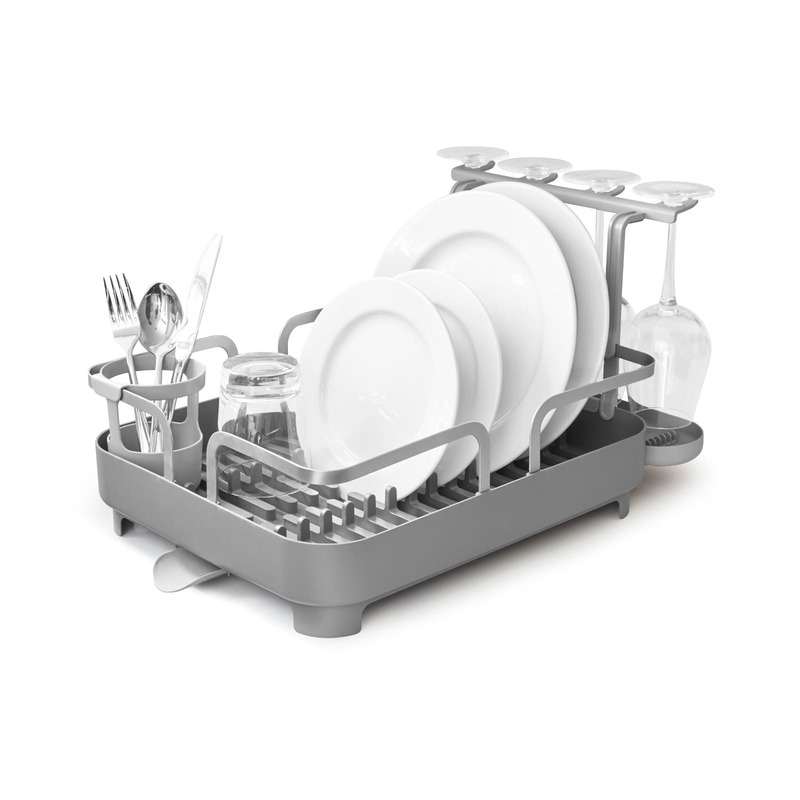 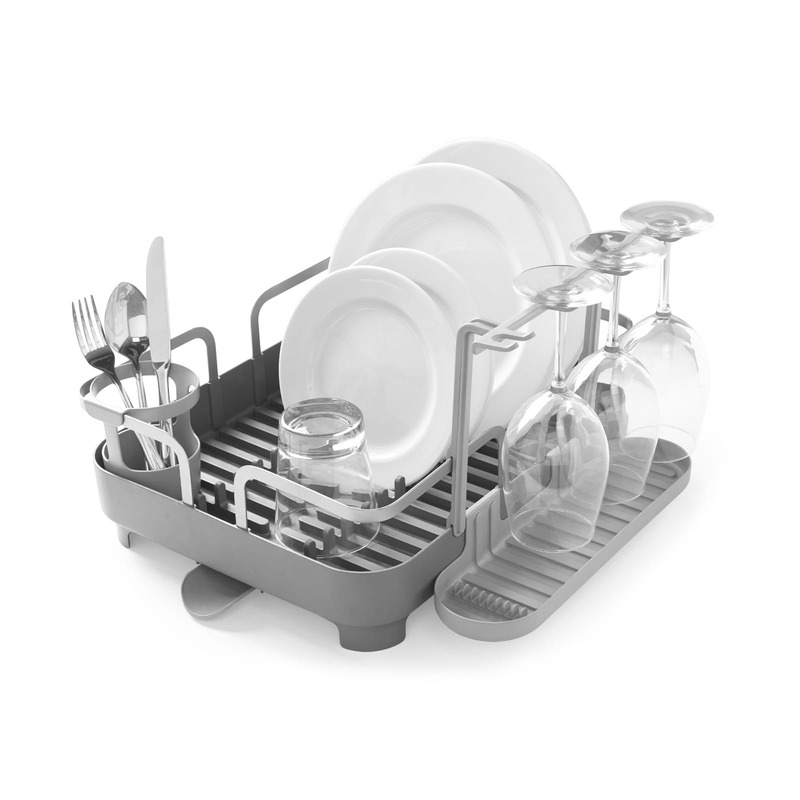 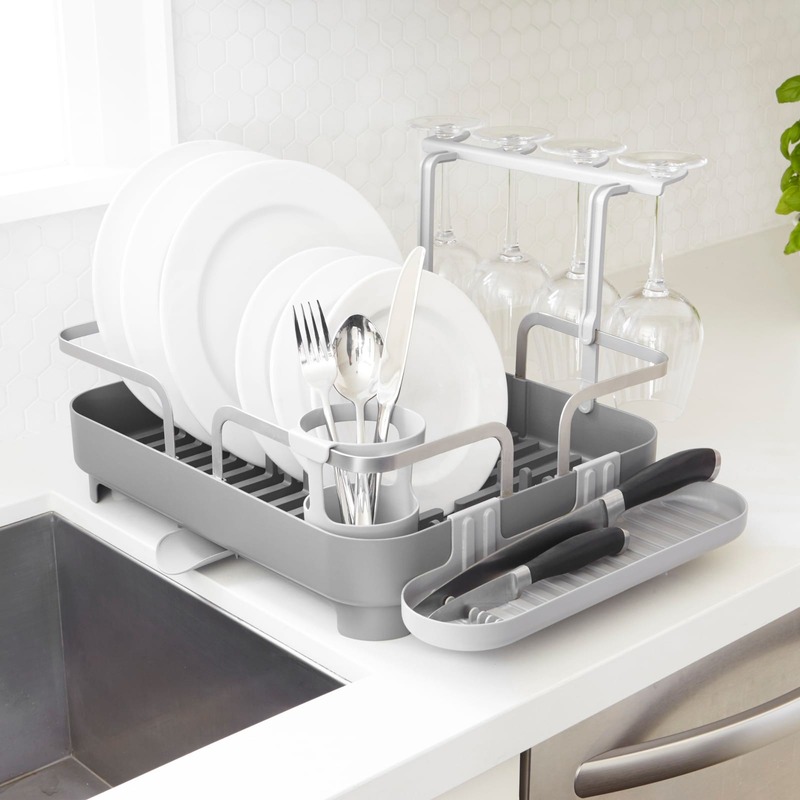 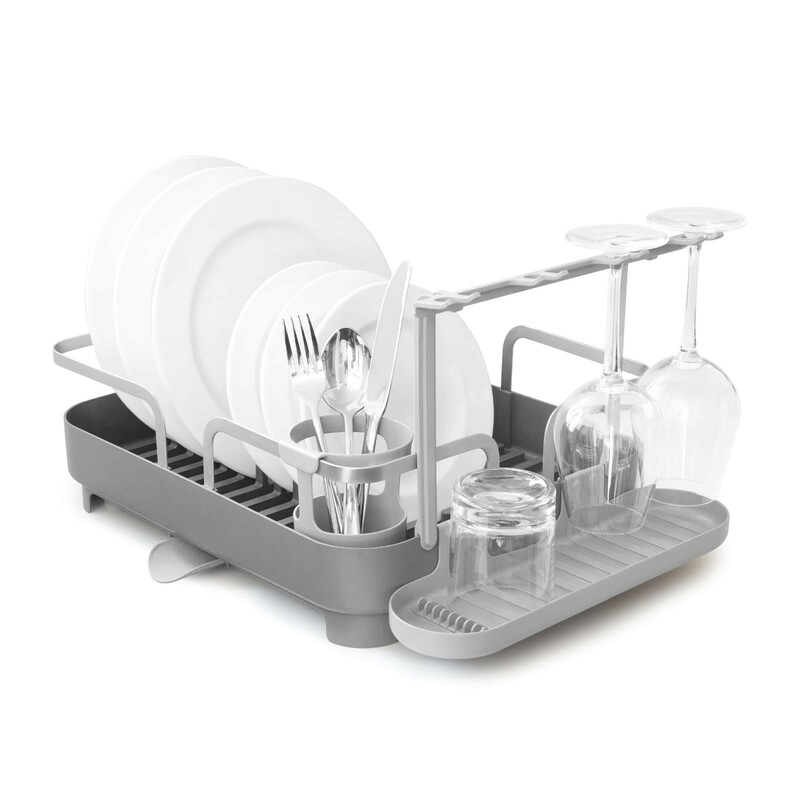 Umbra Holster is a highly functional dish rack that comes with a movable stemware holder, a utensil candy and a movable drain. 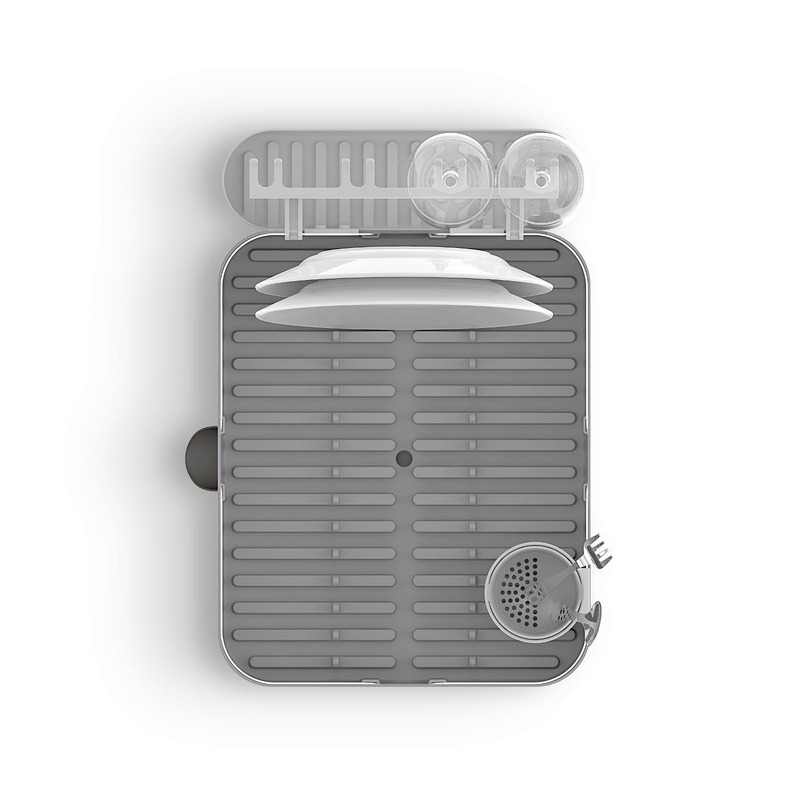 DESIGNED BY DAVID GREEN FOR UMBRA: When designing Holster, David wanted to create a highly functional and adaptable drying rack, able to work in any kitchen. 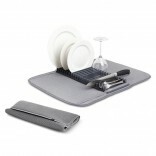 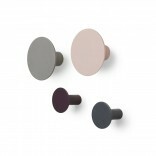 Holster has a low profile, soft curved lines, and a charcoal gray caddy. 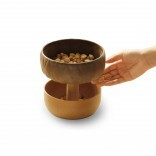 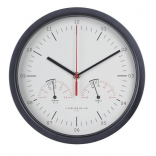 Dimensions: 42.1 x 34.4 x 14.9 cm (16.5 x 13.5 x 6").